The dignified town of Latham is the setting for two of the Colonie area's finest residential communities. Latham has outstanding schools, numerous modern shopping centers, and unlimited recreational facilities. Enjoy a complete network of excellent parkways that provide the finest in suburban living. Call us for apartments to rent that are located in the heart of the tri-city area encompassing Albany, Troy, and Schenectady. We have two outstanding apartment buildings for you to choose from. Latham Village Apartments features one-bedroom and two-bedroom apartments that are beautiful and spacious, and Berry Oxford Apartments features the largest two-bedroom and three-bedroom apartments in the tri-city area. Make an appointment to view apartments only 20 minutes from Albany. 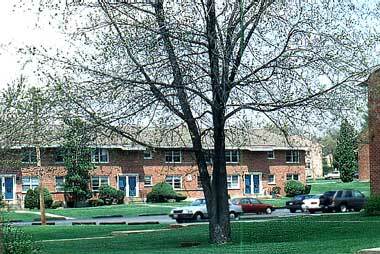 Latham Village Apartments and Berry Oxford Apartments are two residential communities located in Latham, New York. Latham is just minutes from the tri-cities, and it's the perfect residential getaway if you work in Albany, Troy, or Schenectady. Latham is also a great place to live if you attend any of the nearby educational institutions. Our rental apartments are close to all local amenities and conveniences. Call today to arrange a viewing, and ask for Susan Durant, our rental manager. Monday, Wednesday, 8:30 a.m. - 7:00 p.m.
Tuesday, Thursday, Friday, 8:30 a.m. - 6:00 p.m.